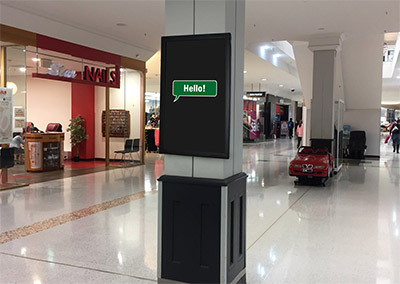 Apps, Artificial Intelligence, Virtual Reality, Augmented Reality, public installations, and a whole lot of experimental and original work for clients who want to mix digital technology with education and play. I also help organisations to build their own creative studios and capabilities in creating awesome digital learning and play resources. I created this professional fire fighter training software package for Presence Fire Training (USA) in 2016. 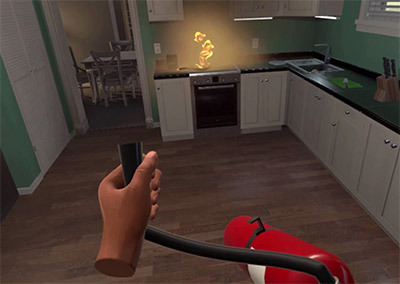 It was the first professional VR fire training product in the world, using fully accurate position and hand tracking for selecting appropriate extinguishers, pulling the pin (catering for both left and right handed responders), and performing the industry standard “PASS method” for safely and effectively extinguishing fires. Roborah is a 5 minute news, music and chit-chat show scripted and voiced completely by an artificial intelligence program that I wrote. The two AI hosts, “Spencer” and “Jess” look at what’s making headlines on the day, bring their own artificial interpretations and comments to the show, and even play music that is completely computer generated at the time of recording. 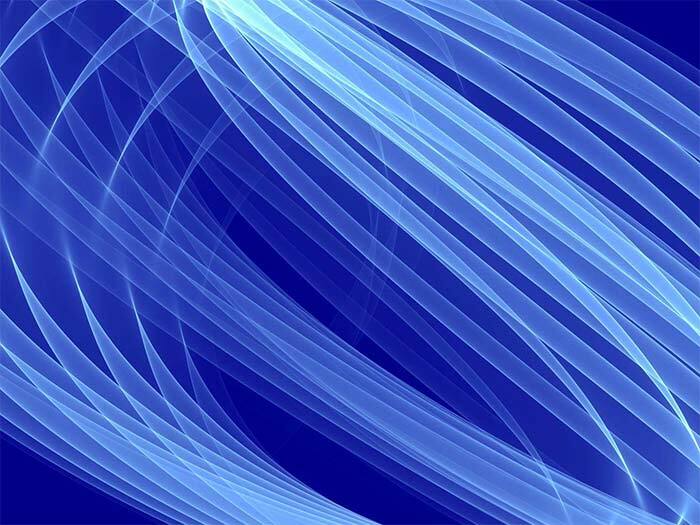 This is the only podcast in the world currently written and spoken completely by AI. Helping the world enjoy these amazing 2,500 year old ancient Roman and Greek artifacts from the ANU Classics Museum. These were on display on Classics website and in a custom-made touchscreen installation. I did the 3D scanning work completely on-site, and captured details as fine as ancient graffito scratches and the fingerprints of the artist that glazed a plate 2,000 years ago. Assisting educational institutions in curriculum design, educational technology, building media studios, video production, and helping academics take their first steps into online teaching. 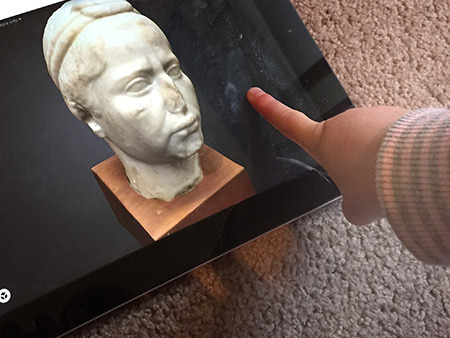 3D scans and multi-touch screen displaying ancient artifacts as old as 500 BC. 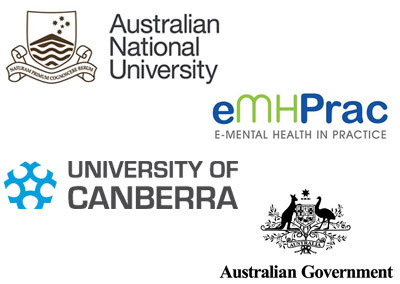 The list below gives you an idea of some of the approaches I work with, but your best first step is simply to make contact with me and we can have a casual chat about your project. Most projects start with a chat about your overall idea, rather than you needing to name an exact technology to ask for. I also offer prototyping and concept design services to help you take an idea in your head and work it through some initial designs and test technologies to help you decide what approach works best for your big idea. We needed someone at very short notice to work with – a designer to develop the Saltwater educational kiosk for the Saltwater: Bark Paintings from Yirrkala exhibition at the Australian National Maritime Museum. The application needed to be robust enough to withstand public use in a museum context and user friendly for a wide audience. It also needed to be easy for the museum staff to install. Ricky was not only able to do this without any problems, he brought extra expertise to the project improving the video compression, and enhancing the interactive features and usability. I have used Pogg with articulation clients, non-verbal clients, clients who are working on sentence formulation and even with my daughter!. Pogg has certainly found a permanent place in my speech therapy, ‘bag of tricks’. If you need help in making great things with technology, or need someone to discuss crazy new ideas with and learn what’s possible, then please contact me on the form below, or email ricky@rickyvuckovic.com, or give me a call on 0415 148 098.